Almost a year after President Trump reneged on U.S. commitments in the Joint Comprehensive Plan of Action (JCPOA), otherwise known as the Iran nuclear deal, there is not the slightest sign that this move is achieving the declared objective of Iran crawling back to the negotiating table to negotiate a "better deal." Tehran instead has been exuding perseverance and hardline resistance. The most recent high-level Iranian statement, a speech by Supreme Leader Ali Khamenei marking the Persian new year, was full of recalcitrance. Khamenei's themes included self-sufficiency and boosting Iran's defense capabilities. It is not surprising that determined opponents of the JCPOA-the most vocal of whom are determined opponents of any agreement with Iran-have been trying hard to spin this situation to make it look as if something positive is being accomplished. 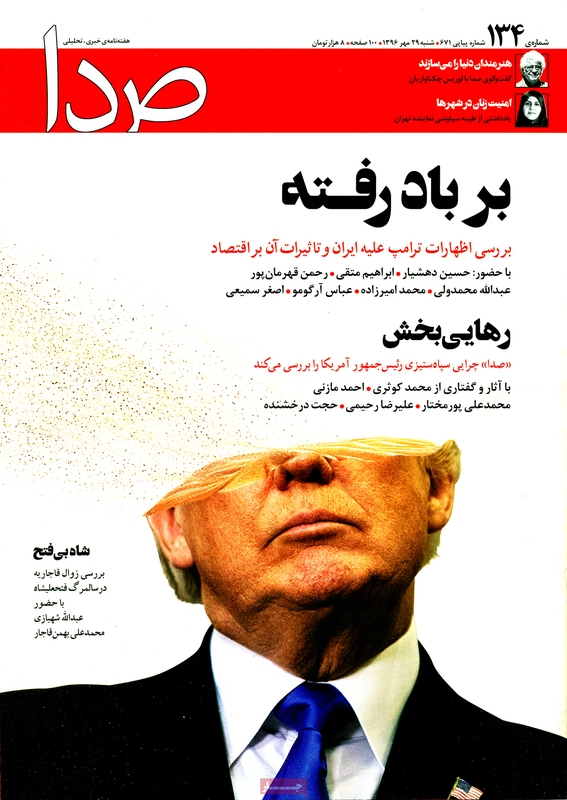 Patrick Clawson of the Washington Institute for Near East Policy, for example, suggests that the new year's speech was "not the confident Khamenei of days past" and that the speech indicated that "the Trump administration has had considerable success convincing Khamenei that the pressure will continue, and that Iran cannot count on outlasting U.S. hostility." It also is not surprising that when The New York Times ran a story by Ben Hubbard, reporting from Beirut, about the financial strains that Hezbollah and other Iranian clients are feeling, columnist Bret Stephens jumped into action. "Heavens to Betsy," Stephens exclaimed in a column in the next day's Times, arguing that this must mean President Barack Obama was wrong when he said sanctions relief "wouldn't make much difference in terms of Iran's capacity to make mischief in the Middle East." Actually, Obama was right. The fallacy that Stephens, and others who defend the Trump administration's re-imposition of nuclear sanctions, are promoting is that making life more difficult, costly, or painful for someone else somehow advances U.S. interests-at least if the U.S. government sufficiently hates whoever that someone else is. That would be true only if schadenfreude were a U.S. national interest, which it isn't. Pain infliction serves U.S. interests only if it changes the targeted country's behavior in a desired direction, by either limiting its capabilities or inducing it to change its policies. Regarding Iran over the past year, this is not happening. Most of Hubbard's article-the part Stephens doesn't mention-describes how and why Iran and its clients are not changing their policies and operations despite the financial pinch. The reporter notes that the client groups "are relatively inexpensive, remain ideologically committed to Iran's agenda and can promote it through local politics in ways that the United States struggles to thwart." Many of the groups "have income streams that give them some financial independence." That certainly is true of Lebanese Hezbollah, which also benefits from having achieved broad acceptance as a political actor. Hubbard recalls how much pushback Secretary of State Mike Pompeo received on this point when he recently met with senior Lebanese officials. Foreign Minister Gibran Basil, standing next to Pompeo at a subsequent public appearance, said, "From our side, for sure, we reiterated that Hezbollah is a Lebanese party, not terrorist. Its deputies are elected by the Lebanese people with great popular support." The article mentions that, to the extent Iran is scaling back militia operations in Syria, this may be due less to financial reasons than to the fact that Iran's ally Bashar al-Assad has largely won the war. In Iraq, financial stringency has led Iran not to curtail involvement but instead to seek stronger economic ties with its next-door neighbor. Militias that Iran sponsored "are now paid by the Iraq government, giving Iran leverage in Iraqi politics at little cost to itself." None of this should be surprising. Hubbard notes that "recent history suggests that financial pressure on Iran does not necessarily lead to military cutbacks." As multiple independent studies have concluded, that also is true of the recent and not-so-recent history of Iran's overall activity in the Middle East, including activity that the United States finds objectionable. Stephens tries to milk another supposed accomplishment out of the administration's pressure campaign by pointing to the fact that Iran is still observing its obligations under the JCPOA despite the United States having reneged on its own commitments. While acknowledging that Iran outwaiting Trump has something to do with this, Stephens also says the Iranian compliance "suggests an edge of fear in Tehran's calculations. The U.S. can still impose a great deal more pain on the Islamic Republic if it chooses to do so." Reflect first on the irony of an anti-JCPOA voice like Stephens pointing to Iran's continued rigorous observance of its obligations under the JCPOA-the terms of which Stephens and other opponents have been excoriating for three years-as a supposed accomplishment of the Trump administration's pressure campaign. Reflect further on how much Iran's compliance with those obligations undermines opponents' rhetoric about how Iran supposedly has been hell-bent on getting nuclear weapons, with the JCPOA just a way-station where it gets an economic fillip. If that really were Iran's intention all along-and given that it is not now getting the fillip-Iran would have renounced the JCPOA as soon as the United States reneged. "Tehran's calculations" are unlikely to be anything like what Stephens suggests they are. The Trump administration, through both its actions and its rhetoric, has given Iranian leaders ample reason to conclude that the administration is determined to punish Iran as much as possible no matter what Iran does. Any hesitation within the administration not to push the sanctions pedal all the way to the metal appears to be a reaction not to Iranian restraint but instead to economic concerns about how elimination of waivers for importing Iranian oil would affect the world oil market and ultimately the price of gasoline at the pump. Iran's continued compliance with the JCPOA despite U.S. reneging definitely involves an Iranian decision to outwait Trump. This is partly, but not solely, a matter of some Democratic presidential candidates, as Stephens correctly notes, stating their intention if elected to bring the United States back into compliance with the agreement. Iran is making its decisions about nuclear policy within a larger context in which not Iran, but instead the United States under Trump, is the isolated actor. It is not just Iran but all the non-U.S. parties to the JCPOA that are committed to its preservation. So is the larger world community, as expressed in the unanimously adopted United Nations Security Council Resolution 2231. Iran may continue to outwait Trump, despite not getting the economic relief it bargained for, until the end of the current U.S. presidential term. Politics inside Tehran probably would make it impossible to wait any longer. This is where the 2020 U.S. presidential election comes into play. Former Deputy Secretary of State William Burns, when asked about this subject recently, replied, "My sense right now is that this Iranian regime would like to try and wait out the Trump administration. But if the president was elected to a second term, then their interest in doing that probably goes out the window."